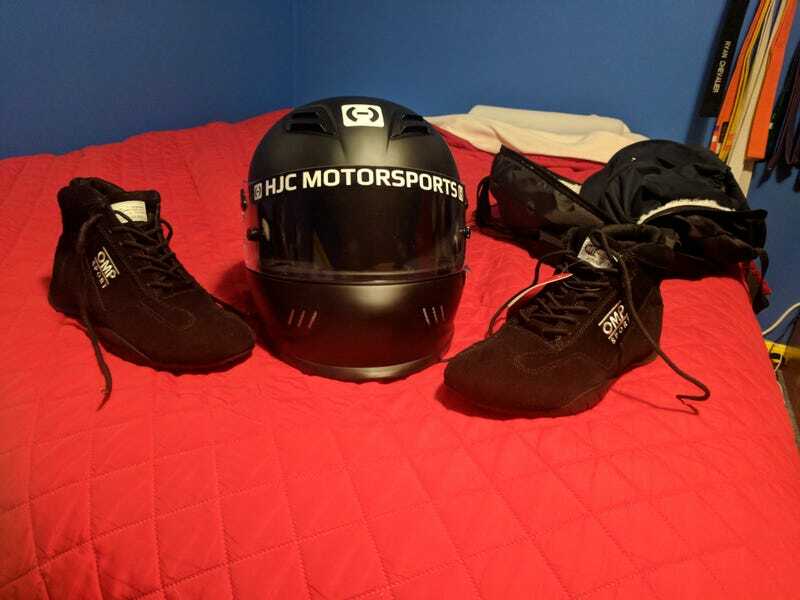 At the advice of the people at HMS Motorsport I went with a basic HJC Motorsports helmet instead of the higher end helmets I had been looking at.. The intent is that I will use this until the Snell 2020 specification comes out when I will likely get something higher end to meet my racing needs of the time and have the HJC as a spare for loaning out as needed. My father also got me a pair of OMP racing shoes as an early Christmas gift. I can left foot brake without stepping all over my own feet now!